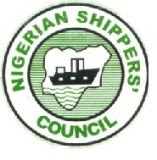 The Nigerian Shippers’ Council (NSC) in collaboration with the Standards Organisation of Nigeria (SON) will hold an enlightenment seminar on Ethics and Integrity in Shipping Trade at Golden Tulip Hotel FESTAC Town, Lagos today Thursday, 21st March, 2019 by 9a.m. Mr. T. H. Idris, Director, Special Duties at the Council, said in a statement that the seminar aims to acquaint the trading community with the rules, regulations and requirements for conducting shipping trade and the need for stakeholders to comply accordingly. Importers/Exporters, Freight forwarders, trade groups, commodity groups and prospective Shippers are expected to attend the event.